Ready to live in style and luxury in Boulder, CO? Check out these awesome apartment communities near the University of Colorado. Boulder Creek Apartments -- Enjoy panoramic views of the mountains and live near unique shopping and dining options at Boulder Creek Apartments. Apartments feature granite countertops, fully equipped GE kitchens with stainless steel appliances, washer and dryer, private patios and balconies, wood-style floors, and fireplaces. Community amenities include a swimming pool, a 24-hour fitness center, a swimming pool, a fitness center, a fireplace lounge, a clubhouse, a spa and hot tub, and a barbecue area. Bring your cats and dogs along to this pet-friendly community and take advantage of the dog park! Brookside Apartments -- Looking for luxury? Check out Brookside Apartments for newly renovated apartments in Boulder, CO. 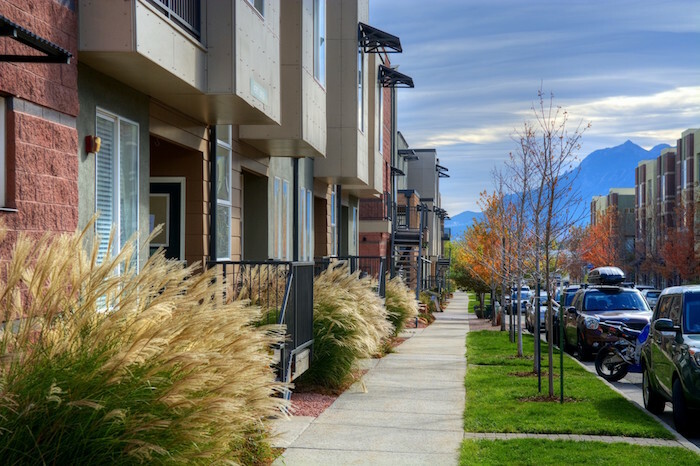 Located only six miles to Boulder Municipal Airport and with easy access to Boulder Creek Path, Pearl Street Mall, and The Twenty Ninth Street Mall, you'll live near entertainment and just minutes away from the University of Colorado. Residents live in luxury with a stackable washer and dryer, a private balcony with storage, a fully-equipped kitchen, large closets, a gas fireplace, mountain views, vaulted ceilings, and vinyl wood plank flooring. Community amenities include an off-leash dog park, a swimming pool, reserved parking, a clubhouse, and more. Timber Ridge -- If you want to behold serene, beautiful mountain views every morning, Timber Ridge offers mountain living in the heart of Boulder. Choose from 1, 2, and 3-bedroom apartments just one block east of the CU campus and two blocks south of the 29th Street Mall. Amenities include a clubhouse, on-site laundry, off-street parking for $200, a free fitness center, free weights, guest hospitality, courtyards, green space, a recreation center game room, and a heated swimming pool. Cats, small and large dogs are welcome. The Lodge -- Truly live life at The Lodge, a newly renovated community in Boulder near shopping, the highway, and the University of Colorado. Choose from newly renovated studios, one, two, and three bedroom units with individual locking rooms, washer and dryer, hardwood flooring, modern fixtures and updates, stainless steel appliances, walk-in closets, an outdoor swimming pool, bike storage, and a community room. Enjoy living one block from the CU Boulder campus in this smoke-free community. This professionally managed community is close to parks, trails, and outdoor recreation. Meadow Creek Apartments -- Hoping to live a bit further away from campus? Check out Meadow Creek Apartments, located less than 20 minutes from downtown Boulder and the University of Colorado, and near local shopping and dining. Enjoy private patios, fully-equipped GE kitchens, spacious closets, washers and dryers, private entrances, and additional storage space. As a resident, you can utilize the 24-hour fitness center, the swimming pool and spa, sand volleyball court, the playground, a barbecue area, and the clubhouse with coffee bar and complimentary Wi-Fi. Bring along your pets to this dog and cat-friendly community. Uptown Broadway Apartments -- Are you a social butterfly? Look into Uptown Broadway Apartments to live in a vibrant neighborhood surrounded by high-end restaurants, fantastic shopping, and endless natural beauty in Boulder. Choose from one and two-bedroom uptown luxury apartments and get complete access to the entire metro area with public transportation. Live the ultimate urban lifestyle while living between dozens of urban parks and mountainous peaks. Apartment amenities include central heating and air conditioning, fully-equipped kitchens with modern appliances, gas fireplaces, private patios/balconies, washer and dryer, and more. This dog and cat-friendly community offers a fitness center, outdoor grilling stations, fire pits, a spa/hot tub, and an underground parking garage. For additional Boulder, CO off-campus student housing options, find more apartments near the University of Colorado on Uloop.com.